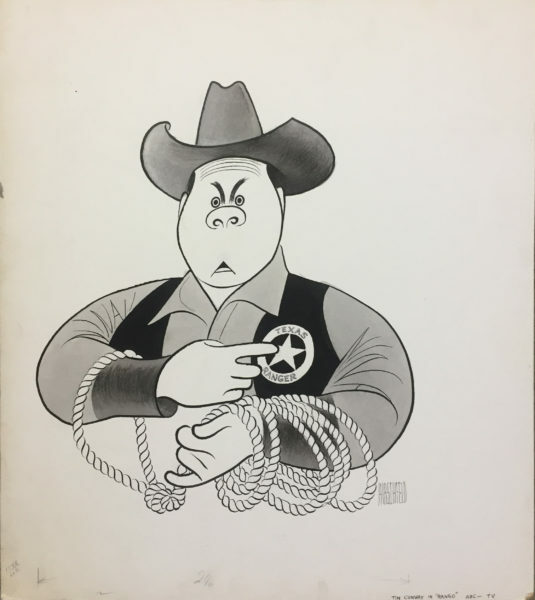 While many love (and collect) Hirschfeld TV Guide covers, not as many know of his drawings that appeared in the magazine in the mid 1960s that ran with reviews of new shows. 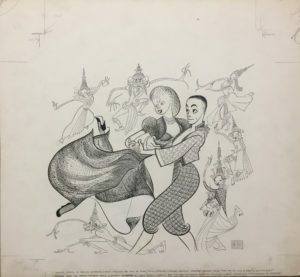 In these drawings, Hirschfeld gave many their first views of Star Trek, Mission Impossible, That Girl and The Fugitive. Of course, many shows were not hits, such as this western spoof in which Conway played a klutzy sheriff who somehow bumbles his way into solving the crime. 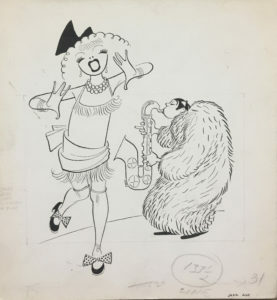 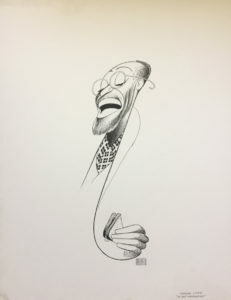 Hirschfeld loved to draw a great character actors like Conway.